Any astute Member going into the Club Library on the third Thursday of the month looking carefully at the walls might have noticed a few stains of blood from the previous night. The stringent housekeeping standards are no match to the ravages left by the RNUC Chess Club on a regular basis. The five current members come together for a gourmet dinner at around 6PM after a few rounds of drinks and harmless and inspiring chit chat. Once the battle commences the atmosphere changes to a more competitive and reflective ambience. Strategies are hatched, battle lines drawn, positional advantages jostled for and deadly blows dealt out. Winners and losers change and find new rivals and it is war all over once again. The Chess Club was initiated by Steve Bonsor and grew to its current strength of five members who have been meeting regularly. All members bring their individualistic approaches to the game. Steve Bonsor's bishops could be deployed with the purposefulness and ferocity of a dental drill to penetrate the defences of the unwary opponent. Ian Littlejohn could build an impenetrable fortress with his immaculate pawn formation. Izhar Khans cerebral approach is extremely solid except when his emotional heart takes over and marshals an offensive before the time is right. Bob Christie plays a very canny game with nuances so subtle that no one can tell what his strategy is. Rumours are that he doesn't know either. Satchi Swami's gambits may not always work but they bring in the excitement of expectant possibilities. 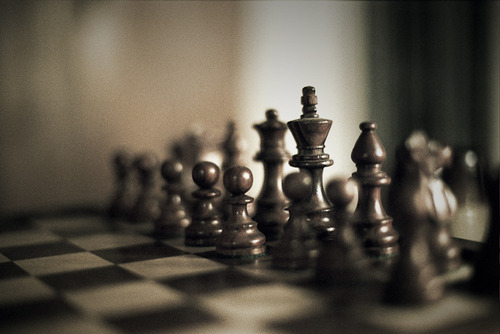 The outcome of the games could be a draw or a check mate but never a stale one. The home work that goes into the preparation for the Chess Club evening is a closely guarded secret but I suspect would involve some surfing practice. Whether Steve has a hotline to Nigel Short or Satchi to Vishy Anand are unresolved questions that however nag some of the members persistently. The evenings finish reluctantly thanks to the addictive nature of the game and the convivial chemistry between the members. The members always look forward to the next round (not only of drinks!). The camaraderie has been sealed recently with a grand dinner to which the spouses were invited (they declined an offer of a special tournament display and an invitation to participate in a game!). The chess club is a hidden gem in the Club's calendar of activities but now that the secret is out there could be a further surge in membership! We meet on the first Thursday of every month at 6.30pm. Please come along and join us, or contact Bob Christie and he will arrange to accompany you to a meeting.